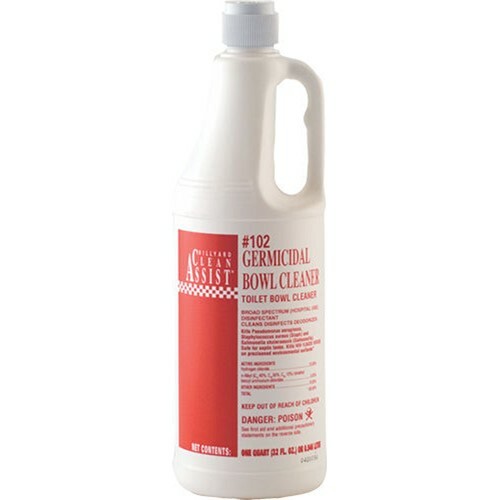 A powerful, one-step bowl cleaner that cleans, deodorizes, and disinfects in one operation. Rich sudsing action instantly dissolves tough iron, calcium, and lime stains, leaving toilet bowls and urinals sparkling clean. Formulated with a special safety inhibitor to protect pipes and traps. Will not harm the bacterial action in septic tanks.